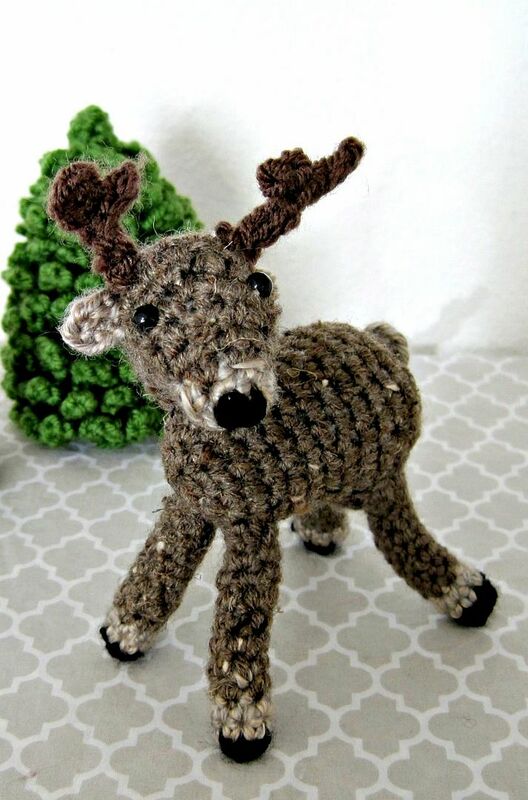 I had a lot of things I could have been doing this weekend, but instead, I crocheted a deer. ...I have no regrets. 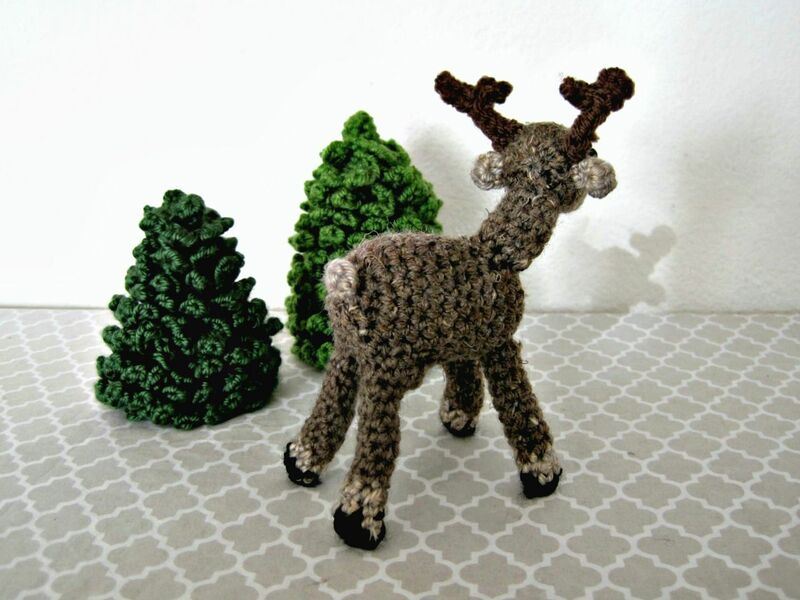 It's adorable and it goes perfectly with my crocheted Christmas decor. 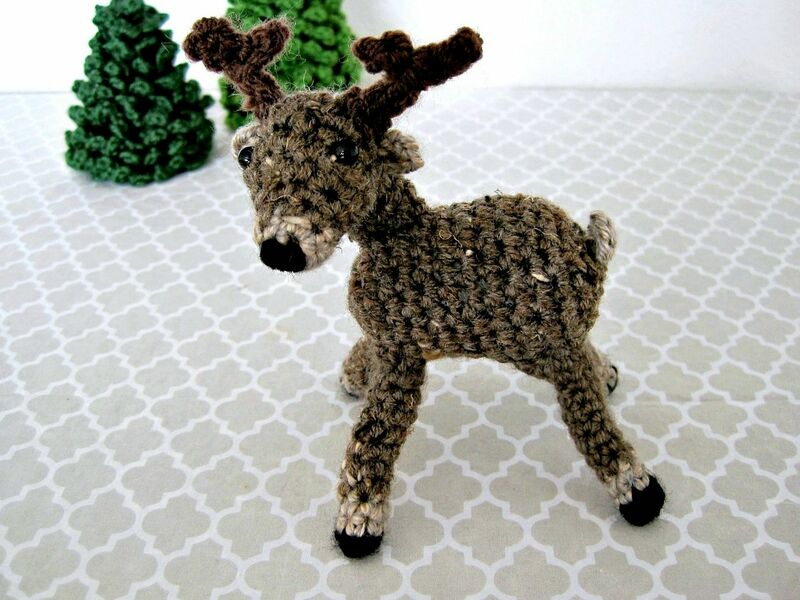 I used the Sherman the Deer pattern by SnuggleMe Stitches on Ravelry and scrap balls of yarn. In fact, it's a bit hard to tell, but the back two legs and part of one of the front legs is made with a different yarn than the rest of the body. I intended to use the same brown shade for the ears, but ran out exactly at the end (luckily) of the last leg. 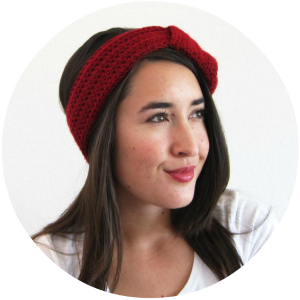 Since I was using scrap yarn, I made some adjustments to the pattern to make up for what I had (or rather, didn't have). In each leg, after the first round of black yarn, I switched to the contrast beige color for rounds 2 and 3 before changing to the brown yarn. Since I was out of the brown yarn before the end of the project, I used the beige color for the two ears and the tail. I think it gives the deer a cute dumbo look with the light ears. 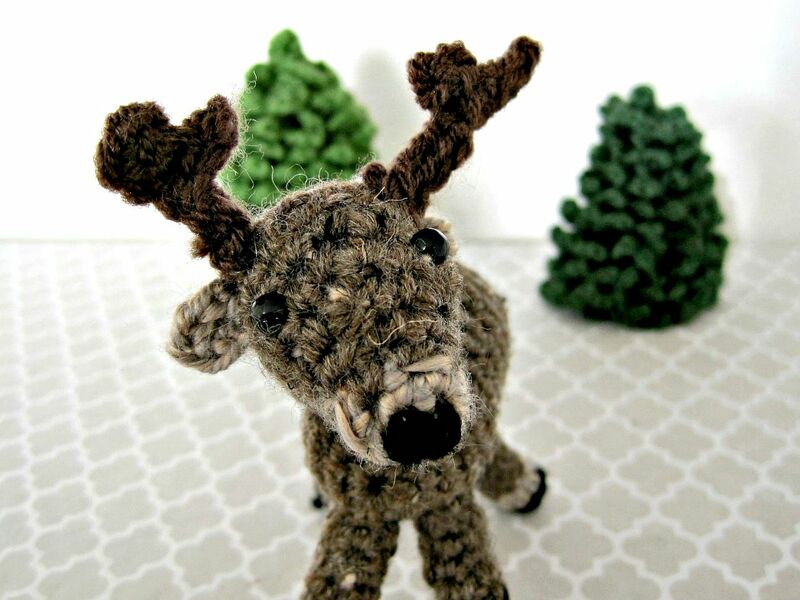 Then for the antlers I used some dark brown yarn I had. The pattern was easy to follow and just took me part of the afternoon on Saturday and Sunday. 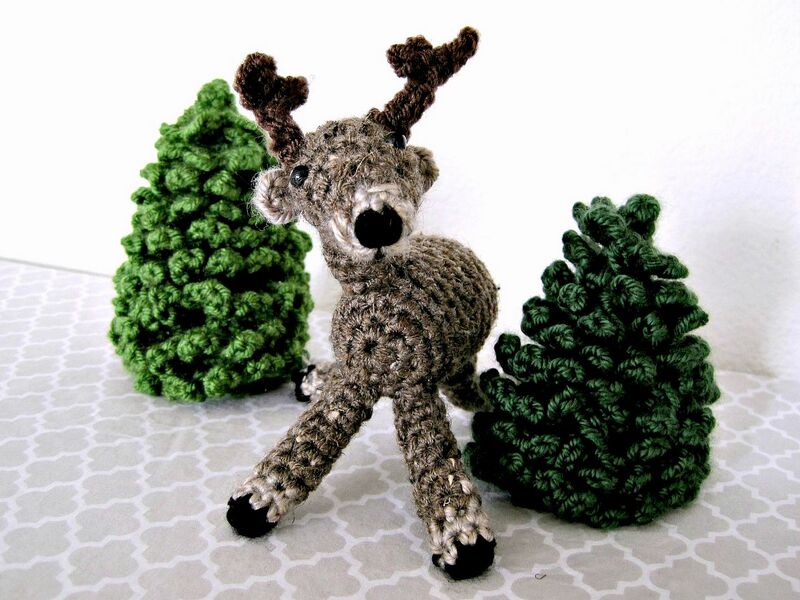 Plus, the designer has several crochet patterns for cute wildlife if you want to make a bear or moose to go with your deer.